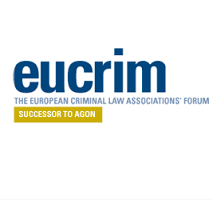 Council Framework Decision 2008/978/JHA of 18 December 2008 on the European Evidence Warrant for the purpose of obtaining objects, documents and data for use in proceedings in criminal matters. – repealed by Regulation (EU) 2016/95 of 20 January 2016 repealing certain acts in the field of police cooperation and judicial cooperation in criminal matters. Council Framework Decision 2009/829/JHA of 23 October 2009 on the application, between Member States of the European Union, of the principle of mutual recognition to decisions on supervision measures as an alternative to provisional detention. have access, using their ejncp account. EJTN continues with its webinars!